New Monster and Treasure cards! Amazing new Munchkin art drawn by John Kovalic and painted by Francisco Rico Torres and Gong Studios! History records many great pairings. Death and taxes. Peanut butter and chocolate. Cats and cheeseburgers. Now we've smashed up Munchkin with Smash Up! 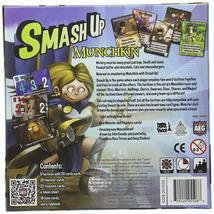 Smash Up is the game where each player smashes two weird factions together and tries to crush all the others. 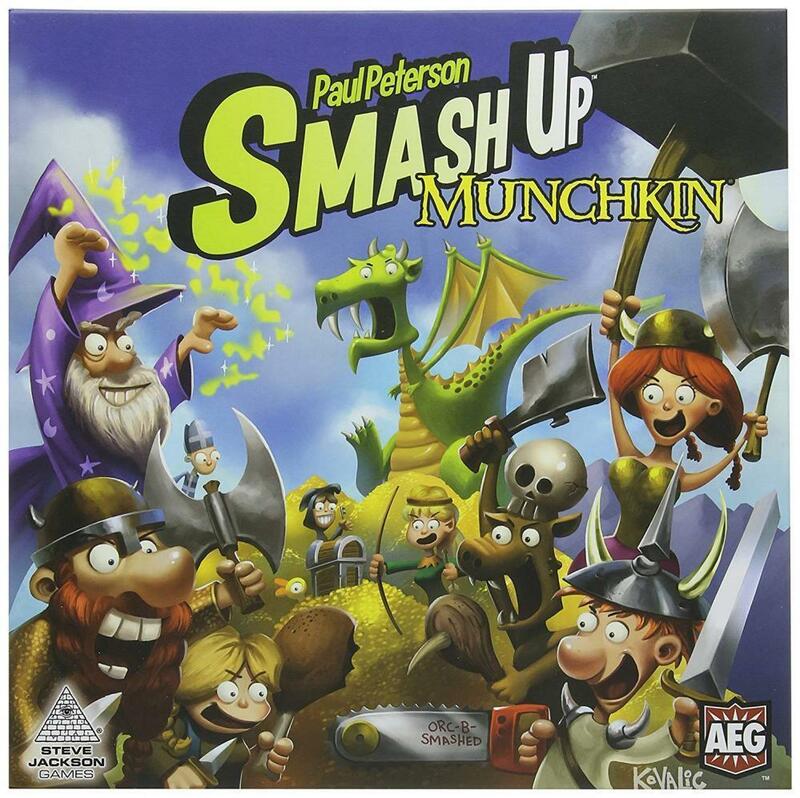 The factions in this set are Munchkin races and classes: Orcs, Warriors, Halflings, Clerics, Dwarves, Elves, Thieves, and Mages! All the factions have different powers, and every team-up is different. 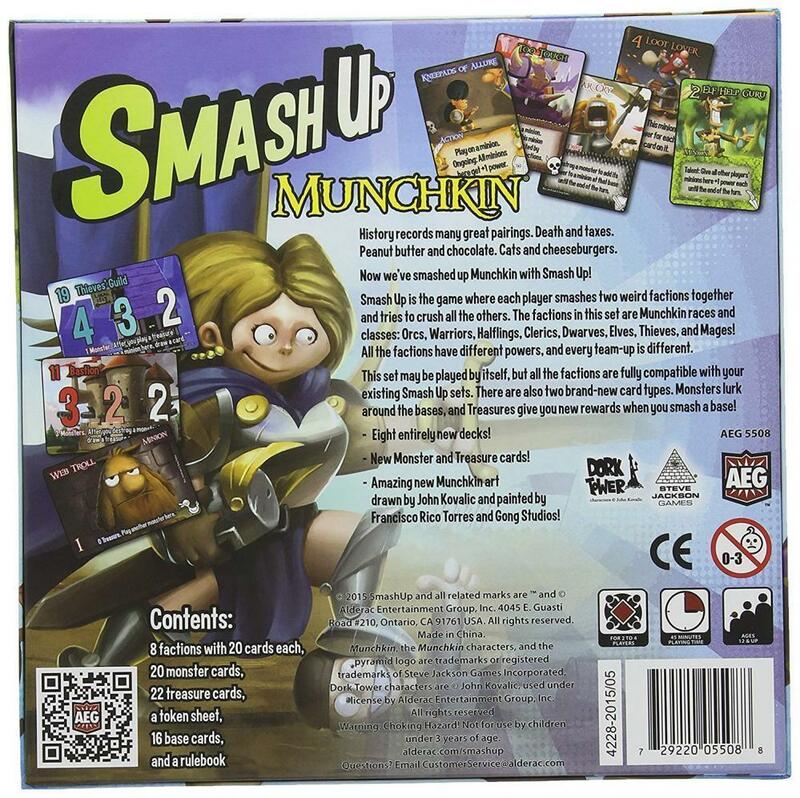 This set may be played by itself, but all the factions are fully compatible with your existing Smash Up sets. There are also two brand-new card types. Monsters lurk around the bases, and Treasures give you new rewards when you smash a base!.